Christa Watson is the author of many books on domestic machine quilting. 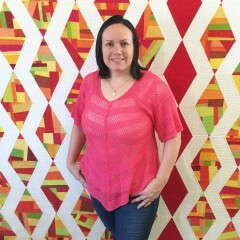 She loves to teach others how fun it is to make a complete quilt from start to finish! She lives with her husband, three children, and three BERNINA sewing machines in Las Vegas, Nevada.